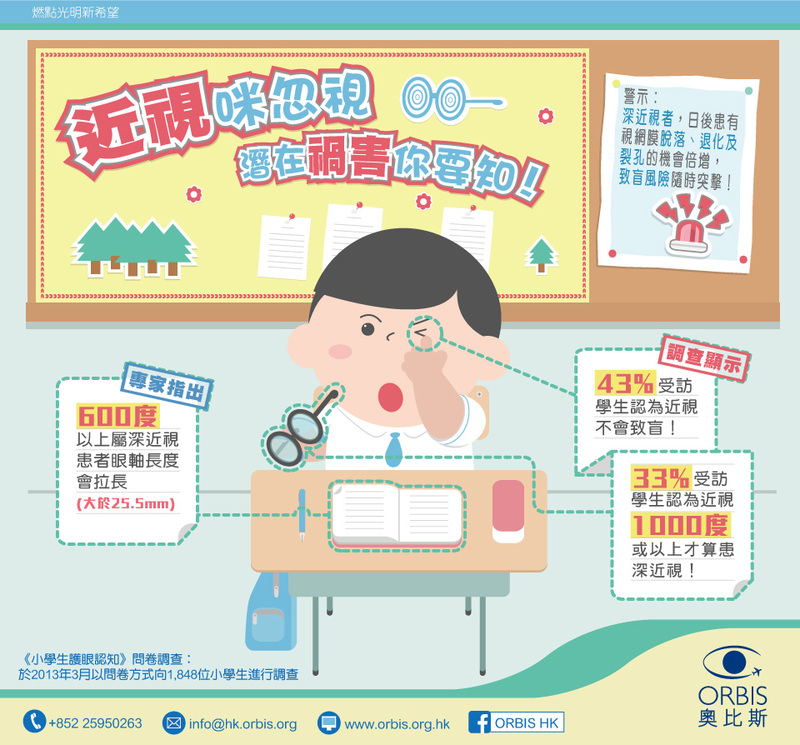 In a recent survey of ORBIS Hong Kong, it is found that over 40% of the interviewed students do not think that high degree of Myopia could lead to blindness. These bilingual infographics visualise the report’s key insights in a clear and appealing way. See this infographic to know more! 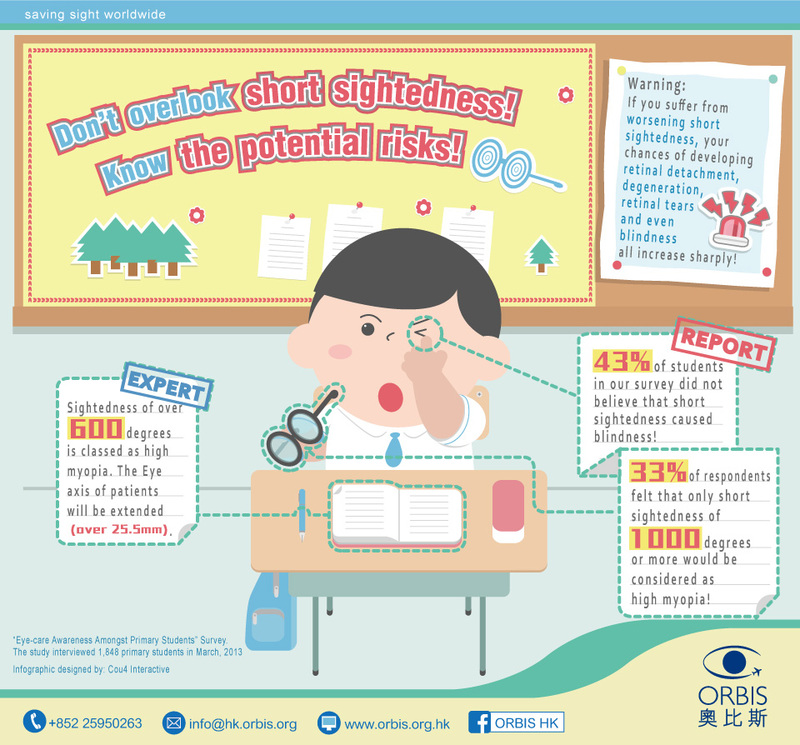 Short-Sightedness, How Bad Could It Be? It is common to see young students using electronic devices for fun or for school work. We, as adults, should provide proper guidance in how they use the electronic devices in order to keep their eyes safe. This infographic illustrates key insights as well as how we could minimise the damages of electronic devices on our children’s eyes.